With Magento and Amazon Pay, we now have a powerful and flexible e-commerce solution coupled with an ultra-fast checkout experience. It is a winning combination. Shinola prides itself on creating thoughtful manufacturing jobs in the cities that need them most and building watches, bicycles, journals, jewelry, leather goods and now turntables of the highest quality. The company has built factories and supplied the capital and connections for key suppliers to expand their existing operations, creating more than 200 meaningful manufacturing jobs and over 600 jobs total. To date, the strategy has paid off. Within a single year, the percentage of mobile shoppers grew from 37% to 44%. And in the first three months after Amazon Pay was added to the site, 19% more mobile users and 5% more desktop users completed their online purchases. Amazon Pay is helping us expand our online business and capture more customers. It is a critical piece of our online growth strategy. 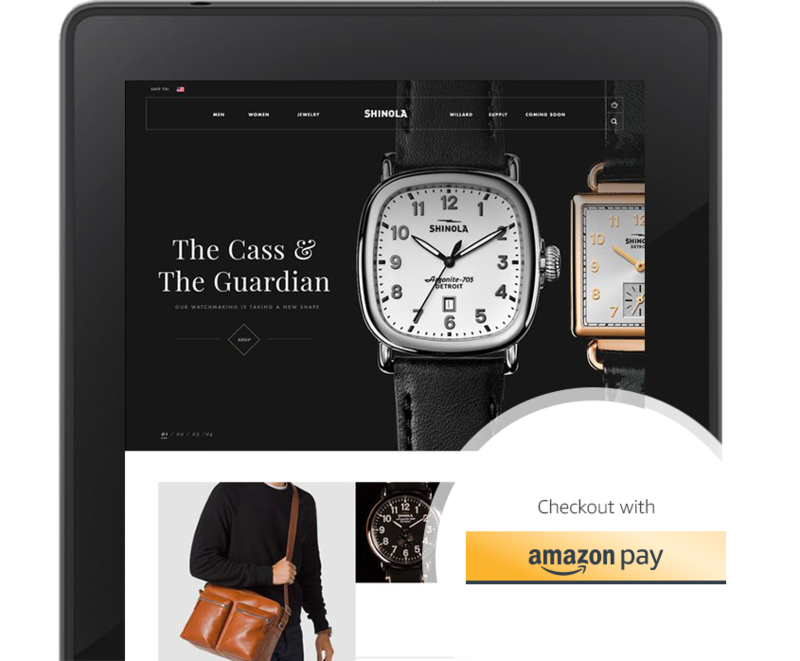 Amazon Pay has quickly become a favorite payment option for Shinola customers who don’t use the site’s native checkout, with one in four mobile shoppers and one in five desktop customers choosing Amazon Pay when making online purchases. “Amazon Pay is helping us expand our online business and capture more customers,” says Kopitz. “It’s a critical piece of our online growth strategy."